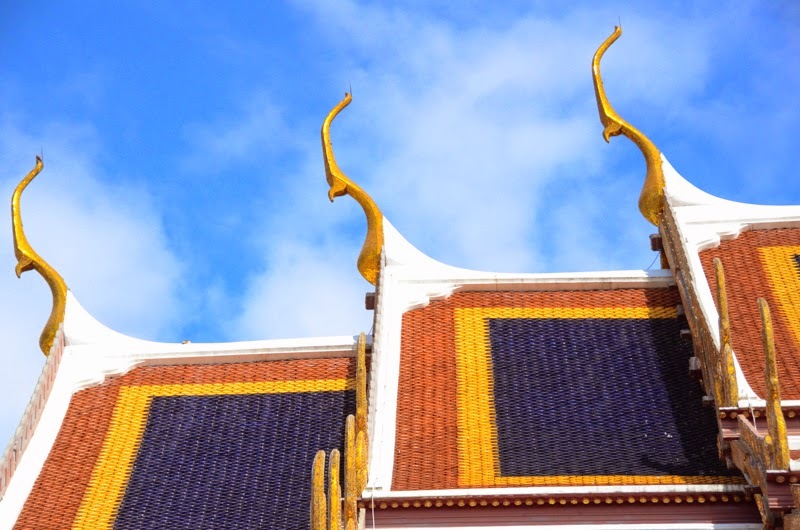 Our last stop was the Thai capital city of Bangkok. It is crowded and frenetic. And for every genius street food on each corner, there is an opportunistic cab driver waiting to scam you. They say you either love or hate Bangkok. We had moments of both. 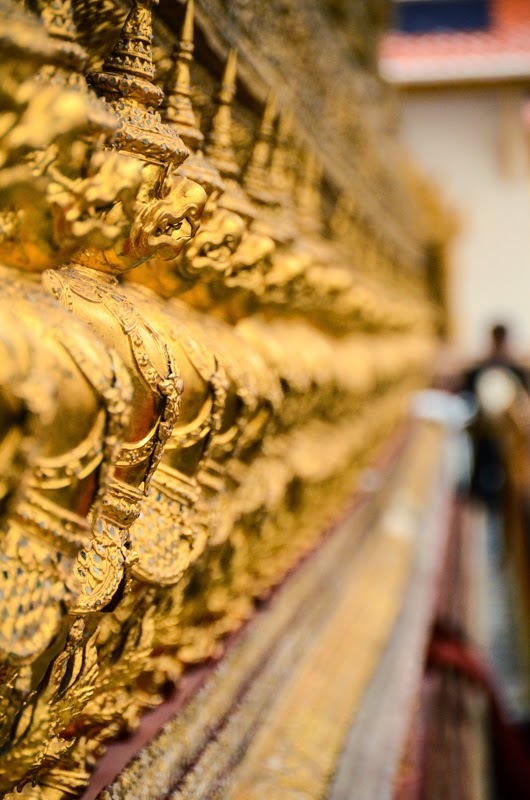 Visiting Bangkok has 3 main purposes: temples, food and shopping. We planned our itinerary accordingly. 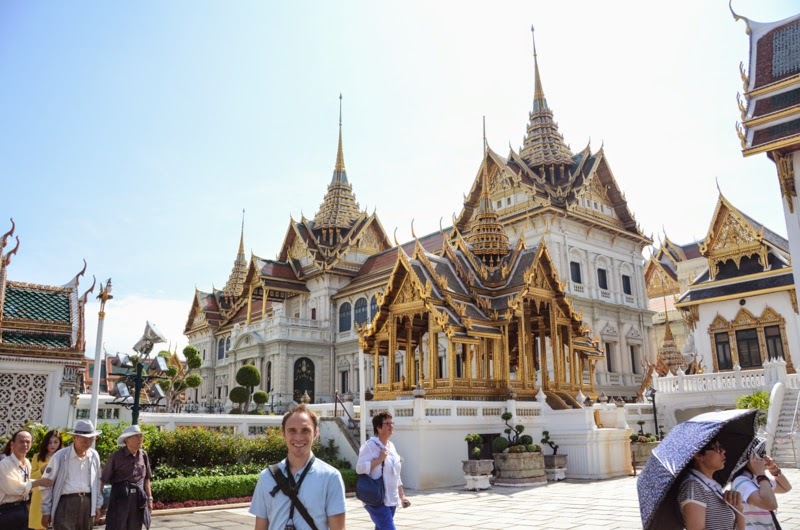 The gold and gilded Grand Palace is a sprawling complex in the middle of the city. Still used for state affairs, it is one crowded destination. 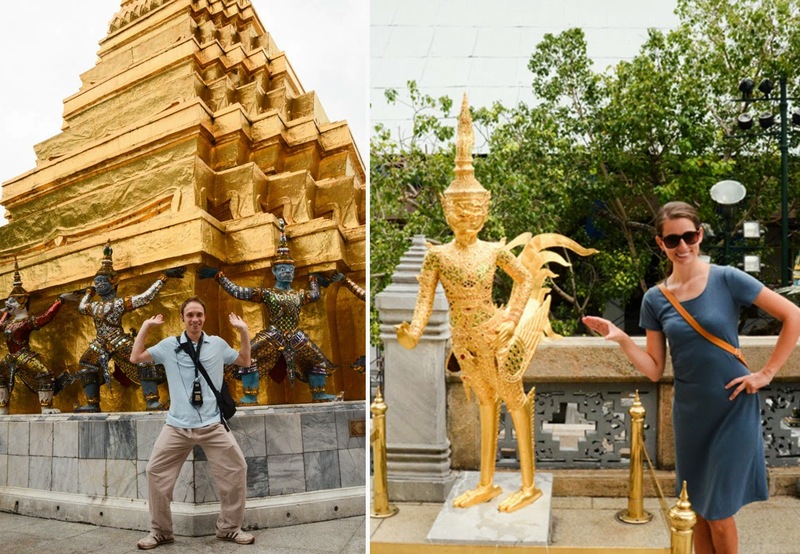 Don't miss Wat Phra Kaew aka the Temple of the Emerald Buddha. We're big dorks and we cannot lie. Modest is hottest in Bangkok. All entrants must be dressed modestly. Shoulders and knees covered. 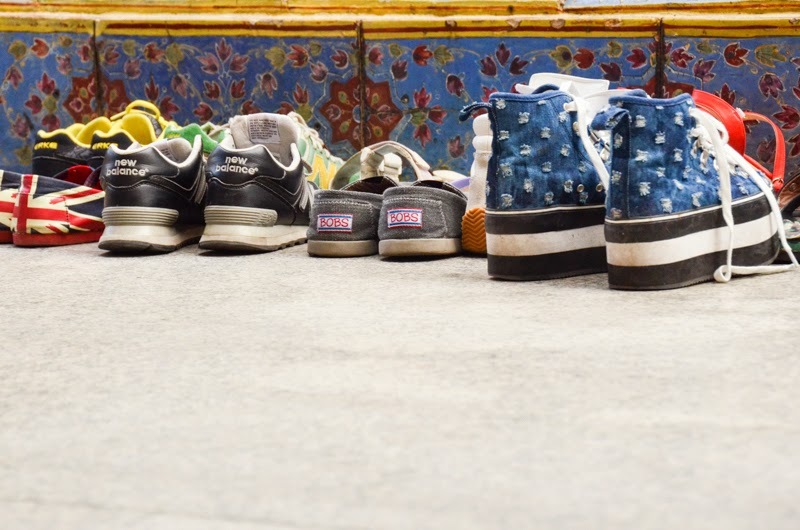 As shoes are not allowed inside temples, the entrance to each one is lined with shoes. It became one of my favorite things to see the wide array of shoes. Worst joke ever. I kind of hate myself for it. Wat Pho is not as glitzy as it's bigger Grand Palace counterpart, but I liked it better. 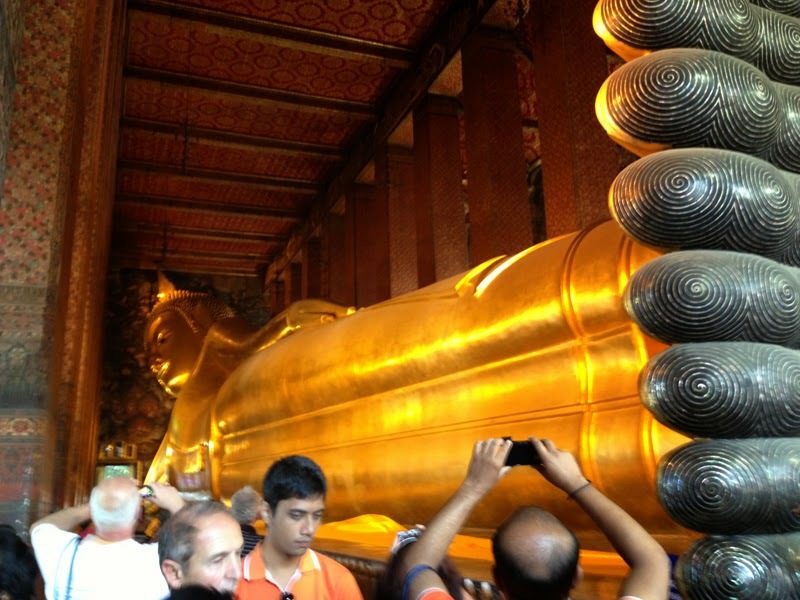 Fewer crowds and the enormous Reclining Buddha, resting at 150-foot long and 49-feet tall, is sweet. He is housed in a narrow room with absolutely no good angles for photos. 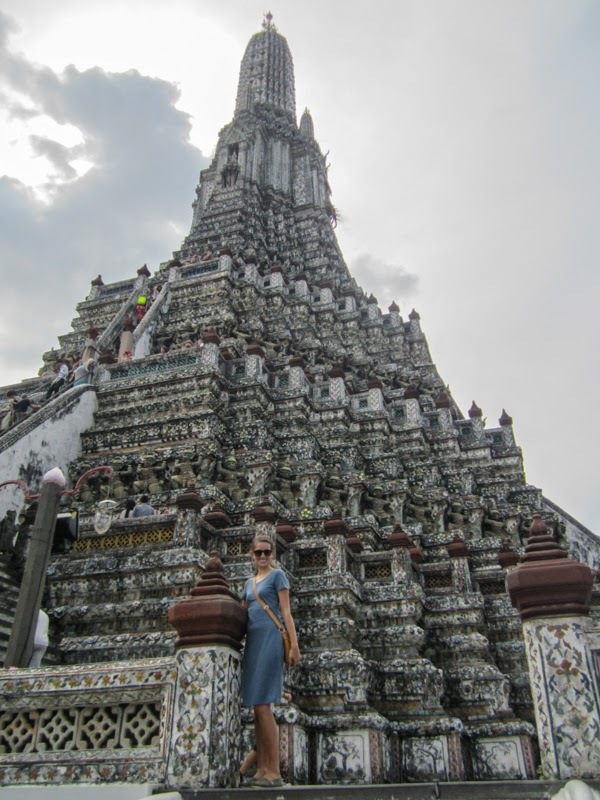 Wat Arun is a temple across the Chao Phraya River. View of the city from Wat Arun. But I found that my favorite food was always the cheap places. 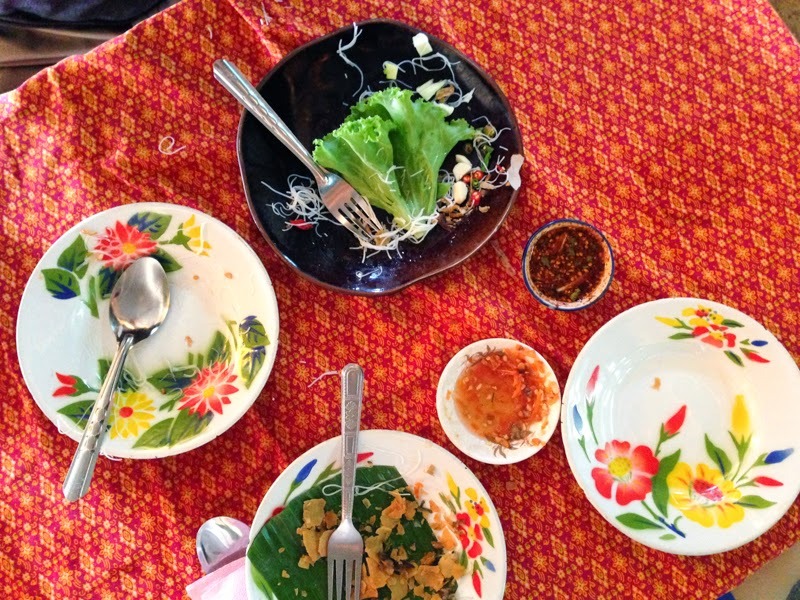 This tiny hole of a Vietnamese restaurant was amazing. If there was one place I thought we might get sick, it would be the little pop-up restaurant under the Sky Train (above ground subway). Essentially we were eating under an overpass. 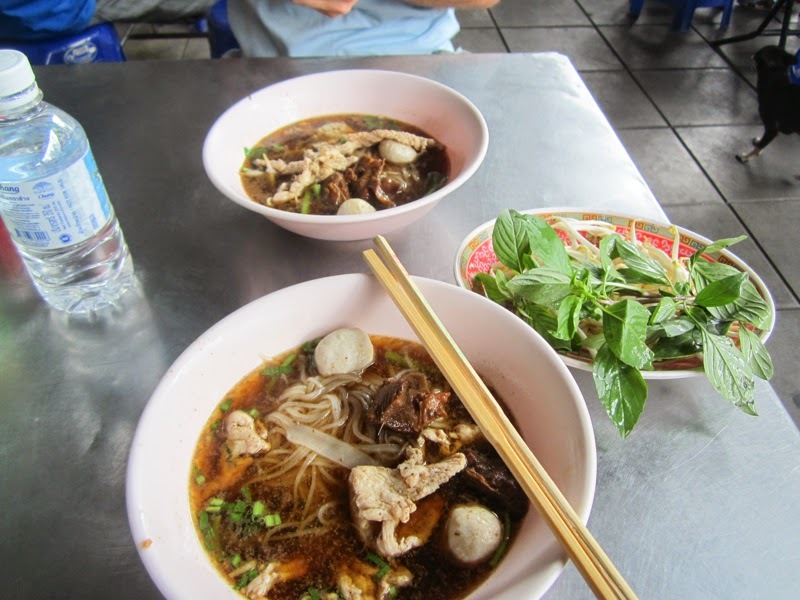 But I could not resist the broth-y calls of pork-noodle soup. For inquiring minds, we never did get sick. You could possibly overdose on shopping in Bangkok. Malls filled with knockoffs, street vendors on every corner. 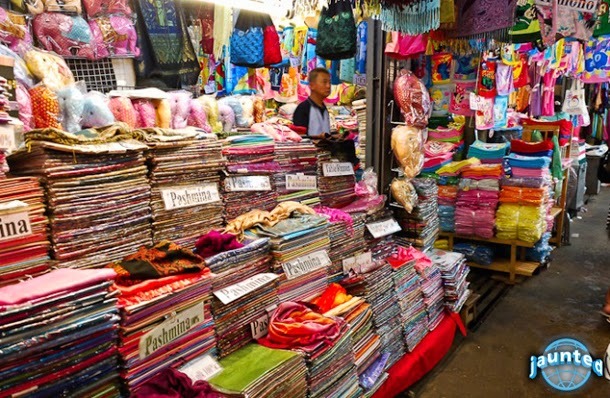 My favorite place to shop was the crowded but awesome Chatuchak Market. Open on the weekends, this market has everything (almost). Vintage dresses (scored the cutest! 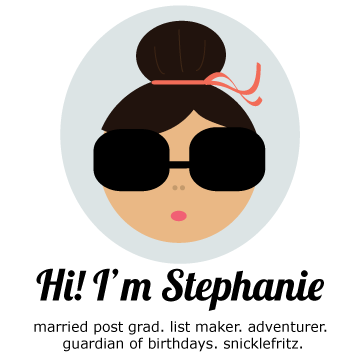 ), new clothing, knockoffs, housewares, even puppies. 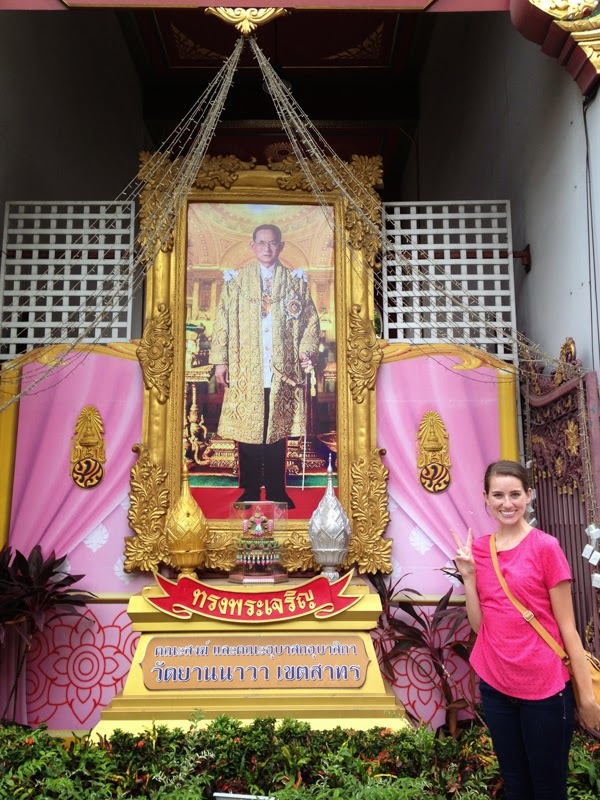 The revered King of Thailand with his portrait featured prominently throughout the city. To balance out the frenetic pace of the city, we indulged in massages a couple of times. Can you beat a two-hour Thai massage for $15? I submit, you cannot. Friends, this is the end of our trip. If you made it this far, you are beyond. Must do: get a massage, any kind of massage! Must buy: vintage clothes at the Chatuchak Weekend Market.